Watch these three little penguins go speeding down the slippery slope, encouraged by the sound-effect of a chipper and cheerful tune. Once they reach the ski lift and climb back up to the top, the race begins again! It is hilarious watching these three penguins waddle their way round the winding route...and even more hilarious watching your little one cheer them on! 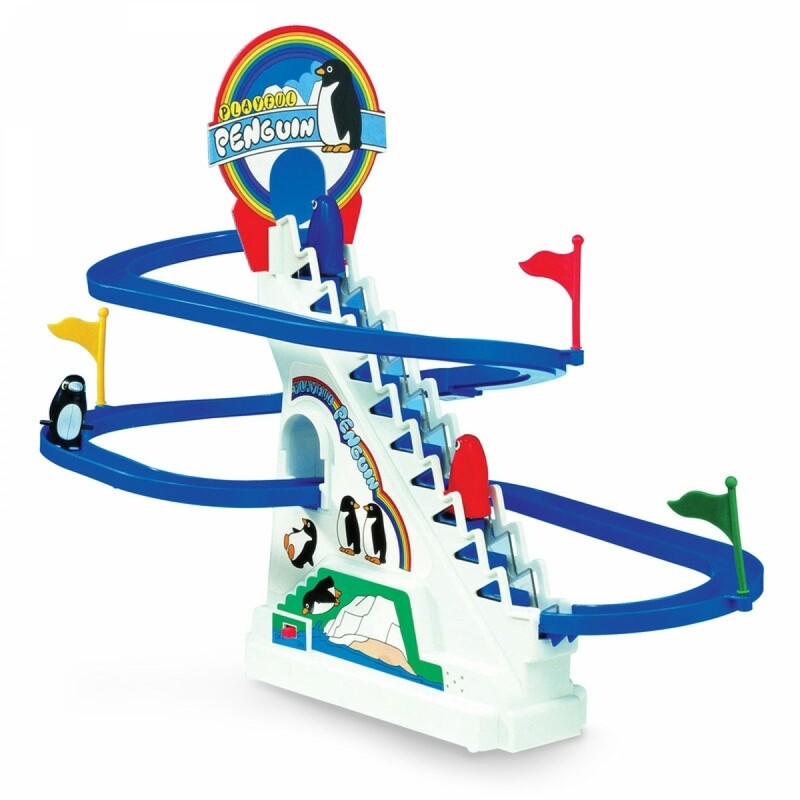 Taking only minutes to assemble, Penguin Race provides hours of fun. With the jolly jingle accompanying the action, it's an all action toy that's perfect for the Festive Season. It's one of those toys that's both traditional and modern - a family favourite for all ages!